In the south the Atlantikwall, a wall of steel and concrete. In the north a countryside full of airfields, camps and ports. 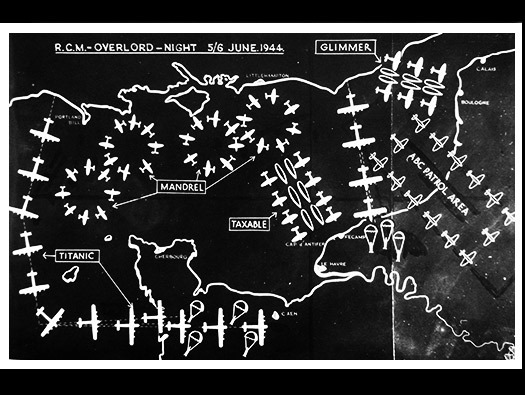 Diagram showing the various diversionary attacks, patrols and counter measures carried out during the night of June 5th/6th June 1944. ''Glimmer'' and ''Taxable'' - Naval and air feint attacks. ''ABC Patrol'' - Aircraft jamming enemy radar and simulating top cover to a naval invasion. ''Mandrel'' - Areas of jamming by aircraft. ''Titanic'' - Dummy airborne drops plus SAS units. SAS team behind the lines. Radar image 0653 hours 6th June 1944. 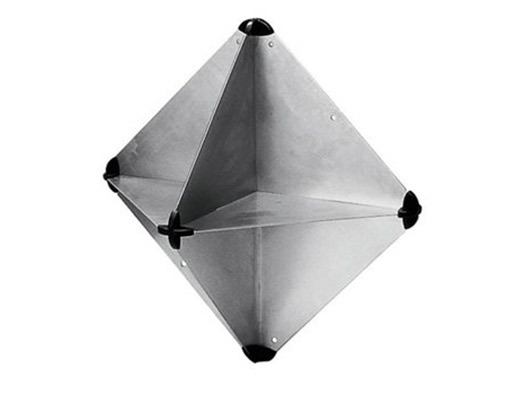 'Glimmer' was to show German radars that a very large naval landing was going to take place in the Calais area. 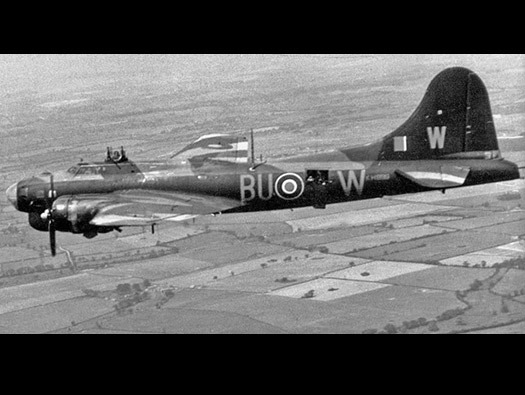 Bombers of 218Sqn RAF were tasked to fly a very tight 'S' pattern to make it look as though a slow force of ships were on there way by dropping 'Window'. 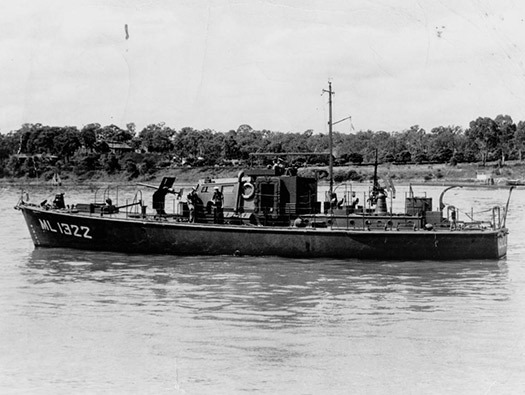 Small Royal Naval harbour defence and RAF pinnaces were also used on the water with radar reflectors to make a small boat look like a large ship. 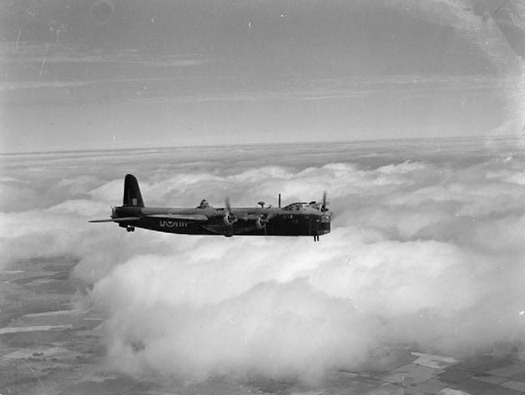 Lancaster's of No 101Sqn RAF and five B-17 Flying Fortresses of No 214Sqn RAF established an Air-Borne Cigar (ABC) ground-air radio jamming and Window barrage along the line of the Somme Estuary to distract enemy night-fighters away from the transport aircraft carrying airborne troops. 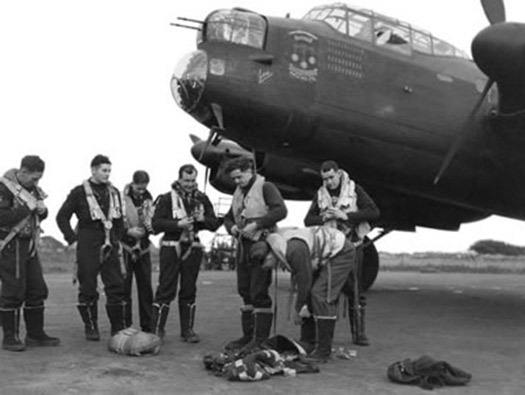 One Lancaster was lost. Stirling's, Halifax and Hudson's parachuted SAS teams and hundreds of dummies to simulate a massed parachute drop. 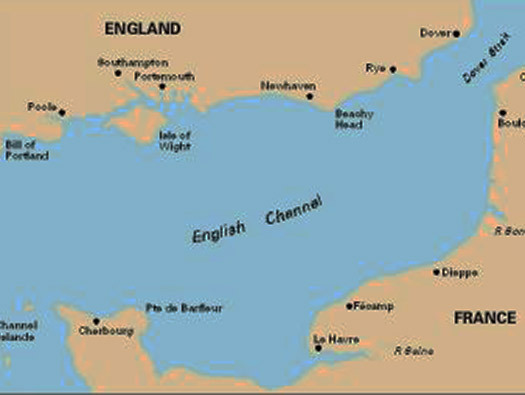 The SAS teams met up with French underground to disrupt a German advance. 617Sqn RAF with ships of the Royal Navy used the same methods as Glimmer. 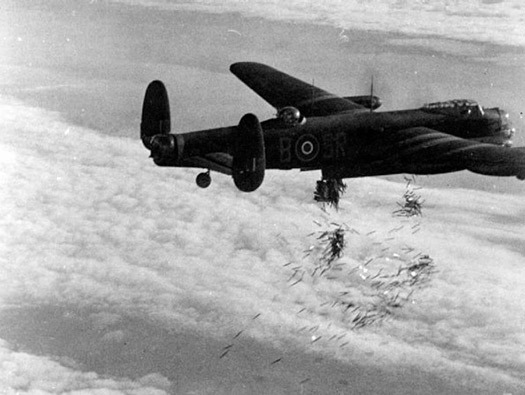 Twenty MANDREL equipped aircraft were flying barrage jamming operations. 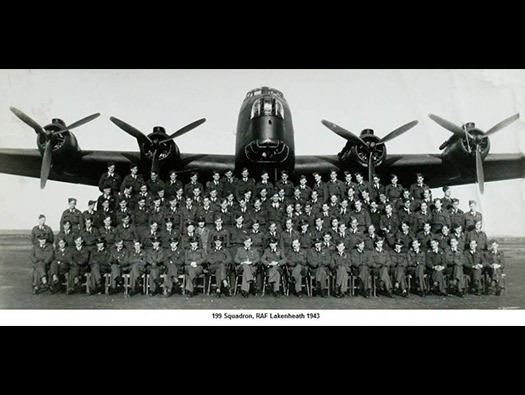 Sixteen Short Stirling bomber aircraft of 199 Sqn RAF were deployed in positions 1-8 along with four B17's 803rd Bomb Squadron USAAF in positions 9-12.